You’re at the store, and you want to get some beef. You’ve been keeping up with the word on the street, so you’re aware of the importance of the cow’s diet. You look around for grass-fed beef, but have zero success. They do, however, have “vegetarian-fed” beef, which sounds nice. I mean, who wants their beef eating animal parts? And aren’t vegetarians pretty healthy? Why, I bet vegetarian-fed cows are even healthier! Eh, not so fast. What does it really mean? Anything? Labels can be tricky. Usually are, in fact, by design. And sneakiness works. So – do these labels actually tell us anything we didn’t already know? Let’s find out the answer to this and other reader questions. Hello again. You answered a question from me not too long ago re: the George Foreman-style grills. Took your advice to stick with grass-fed beef and ditch the grill. Happy with the results…so thanks as always. I will admit that they fooled me at first. My initial thought was that it must mean no animal byproducts and grass-fed diet; I chucked it in the cart without a second glance. However, last week I began to ponder the ethics of big industry (that we all know to be so moral and honest), and specifically, I wondered if, just perhaps, they were using “vegetarian-fed” as a label to disguise the crappy GRAIN-fed diet as something sounding much more healthy. I hit the internet forums, and the consensus seems to be that – yes, this is nothing more than clever marketing wordplay (I guess grains, corn, and even old tires COULD be argued to be vegetarian since they’re NOT made of meat) to get people to think that they’re buying a higher-quality product, when really it’s just a sham. Anyway, I’m buying true grass-fed beef from Whole Foods moving forward, but I didn’t see a whole lot of exposure of this issue. Could you confirm that what I’m reading is correct? Or let me know if I missed anything? Figured this might be another great opportunity for you to help educate our community, as you’ve done a wonderful job with so far. Thanks, Mark. Your instincts are correct. Most vegetarian cows are a lot like the average human vegetarian. They’re not out there eating fresh salads, buckets of green vegetables, berries, roots, and tubers; they’re eating vegetarian microwavable pizza, pasta, vegetarian desserts, and Tofurkey. In other words, they are still eating junk, just not junk that contains animal products. But because the term “vegetarian” evokes images of perfect health and purity – images we know from seeing vegetarians in the wild and our own dalliances with that way of eating to be mostly fantasy – it sells products. Now if a human vegetarian (who has complete control over his diet and a real stake in its quality) can’t be bothered to do it right, imagine the quality and composition of a vegetarian cow diet put together by a food producer whose primary interest lies in maximizing profits. It’s certainly not fresh green grass, or else they’d put “grass-fed” on the label. The one that really bugs me is the vegetarian-fed chicken. While I acknowledge the sneaky underhandedness of labeling their diets vegetarian, at least cows, lambs, and goats really are physiological vegetarians. they aren’t really lying about the animals physiological dietary requirements. They actually are vegetarians who would, except for the odd bug or other microorganism picked up in the course of munching on grass and forage, never eat animal flesh. But chickens? Chickens are omnivores, through and through. Domestic chickens actually come from the red junglefowl, a voracious omnivore from the jungles of Asia. One study (PDF) on the feeding habits of red junglefowl found that earwigs, bees, wasps, ants, termites, crickets, locusts, snails, leeches, and snakes formed a significant portion of their diet, with females (the egg-layers) eating a greater proportion of vertebrates/invertebrates than the males. Ask any chicken farmer and they’ll laugh at the notion of a vegetarian chicken. They will eat bugs, mice, lizards, and sometimes each other. They are unequivocally omnivorous and feeding them a vegetarian diet produces subpar meat and eegs. So while I wouldn’t call it a complete sham – you don’t want your beef having eaten chicken manure, for example – it’s not anything special. Cows being vegetarian does not deserve a special announcement. I recently started a regimen of consuming 30 grams of BCAAs per day in a post-workout, fasted state per Martin Berkhan’s recommendation in his Leangains protocol. My question is: Are there any potential negative effects to BCAA supplementation? If not, what do you consider the best protocol for using them to enhance a healthy Primal lifestyle? For those who don’t know what BCAAs are, I’ll give a quick rundown. Of the 20 standard amino acids (the building blocks of protein) used by the human body, nine are essential, meaning we cannot endogenously manufacture them and instead require an outside source. Of those nine, three are branched chain amino acids: leucine, which converts into ketones; isoleucine, which converts into glucose; and valine, which also converts into glucose. If you’re doing fasted weight training, it would be prudent to use them as recommended by Martin, who has a bit of experience in this area. They are muscle-sparing, especially during intense resistance training, which is why Martin recommends them for fasted workouts. The last thing you’d want during a fasted workout is for your body to start breaking down muscle to create glucose. Based on that study I referenced earlier, it sounds like taking them before a fasted workout would be more effective than after, though if you were planning on continuing the fast post-workout, more doses on the hour should prevent muscle breakdown until you’re able to eat some real food. There are no real downsides to BCAAs besides the cost. As BCAAs are also found in animal protein (just not as concentrated), they’re as safe as eating the foods that contain them. If you’re already eating meat and eggs, I wouldn’t be worried about BCAAs. For my personal goals – which as you may know are to remain healthy, active, and playful for the rest of my life – supplementing with BCAAs just aren’t worth it. For someone who is lifting hard, lifting heavy, and lifting fasted, some smart BCAA supplementation could make a noticeable difference. Whether that difference is noticeable enough to justify the added expense is up to you. I have bought grass fed/grass finished beef and buffalo a few times. Overall, the beef tastes bland, with little flavor except for the seasonings we put on it. We like our beef “medium” quite pink in the middle, so we are not over-cooking it. I was raised on a small farm and if I remember correctly, feeding corn before butchering added marbling and “flavor”. Am i just used to eating corn finished beef? Or, am I not buying the right kind of grass fed beef? Or, do I need to be patient and acquire a taste for grass fed beef? Honestly, I think you need to shop around. Grass-fed beef shouldn’t be tasting like that; it should be exceedingly beefy, even gamey to some. How does this happen? The problem with a label like grass-fed is that the presence of grass in a cow’s diet does not guarantee flavor. Not all grass is the same, nor does it all have the same nutritional content. You know how a tin of berries from the farmers’ market that was picked the same morning from rich cultivated soil tastes way better than the pint of berries from the grocery store? Grass responds to growing conditions in the same way – just like any plant would. It needs good soil packed with nutrients. It can’t conjure all that good stuff up from nothing. If the cows are nibbling on short grass that is barely surviving on mineral-bereft soil, the meat just isn’t going to be as good or nutritious as meat from cows that are eating fresh spring grass thriving in loamy mineral-rich soil. It will have fewer minerals, vitamins, and omega-3s, and you’ll taste the difference. Most people who come to grass-fed beef from corn-fed beef take a while getting used to the intense beef flavor. Since you’re experiencing the opposite, I strongly suspect you’re just eating bad grass-fed beef that has been raised on poor soil and (subsequently) poor grass. Try a few more and I bet you’ll find one you like. Sherry, maybe if you respond in the comments and give your location, local readers can respond with some recommendations. Sound good? That’s it for me, folks. I’m gonna hit the hay pretty soon. It was a crazy weekend. Grass fed beef tastes intense and the meat feels fresh. The way you perceive the taste varies from person to person and what expectations you have. Cooking it different or acquiring it from another source are the best ways to get different results. I’ve considered BCAA supplementation in the past but I just find them way too expensive, probably not worth the money for most people, as you say. Same here, it’s just another thing I have to remember to do and to re-order when you run out. I stopped using creatine too, I think once you achieve a high level of conditioning you don’t get much out of it. I respectfully and wholeheartedly disagree with using BCAA pre-workout. If anyone is going to do a fasted workout, then do a fasted workout. Loading up with BCAA pre-workout is not a fasted workout, and it makes absolutely no sense from the perspective of an ancestral diet. I have already addressed the issue here that BCAA’s are very insulinogenic, and will jack insulin levels up. Kind of negates the purpose of fasting or training fasted, as fasted state is really defined as having low levels of insulin. Secondly, GH and insulin are inversely related, so you will put a damper on GH production at exactly the time when GH is high by increasing insulin, while strength training. Third, by raising insulin levels you activate the mTOR pathway and you lose the massive health benefits of autophagy when you fast, and train fasted. So my fourth point is a question. Mark, do you think that supplementing with BCAA, or in other words, adding protein pre-workout, would see this doubling of protein synthesis post-workout? A very intuitive statement, and I think that’s our answer. If we look at the study you cited that BCAA is muscle sparing. How much muscle did it spare? Well, first of all, the participants in this exercise were practically doing cardio for an hour with their quads, so they were probably very susceptible to protein breakdown. Even given that circumstance, how much protein breakdown occurred in an hour of cardio at 70% max effort in the fasted state? In english that’s 816 micromoles of BCAA and 924 micromoles of EAA per kg of bodyweight. So if we consider a man of 70 kg, that would mean around 120,000 micromoles of protein released/burned for a healthy man. There are 1,000,000 micromoles in a mole, so we are looking at 12% of one mole of protein lost in the fasted state. How much is that in grams? Well I just considered leucine, C6H13NO2, for the equation. That’s roughly 16 grams of protein lost in the fasted state after a one hour of an aerobic workout at 70% max effort. How much protein will be lost with strength training? Probably less than that. So are we going to throw away double the protein synthesis, autophagy, and GH, so that we don’t lose less than 16 grams of protein during training? I think BCAA supplementation can be used wisely, but not if you the benefit’s of a truly fasted training. If I could +1 that 80 billion times, I would. Great post, Matt. Thanks Stephanie. 🙂 Because this comment is so long, I expounded on it and linked more studies to it to support my points on my blog. You can like it on Facebook there. That would be awesome. Very persuasive analysis, Matt. But I assume that Martin Berkhan reads the same literature as you do. What do you suppose his thinking was when he concluded BCAAs were beneficial pre- and post-workout in the fasted state? First you say “BCAA’s are very insulinogenic”. Yes but it’s still only ca. 10 grams we are talking about (and usually only about 2-3 grams of leucine, which if I understand it correctly is the one responsible for the insulin spike). If memory serves me, I think Martin’s take on this is that fasting is not an on/off state, and thus 10 grams won’t matter. Second, how is 16 grams of protein not a lot? Let’s say that you can add 300 grams of muscle in a month (I’ve heard 0.5-1 pounds) and you train 16 times a month. If you lose 16 grams each time, it’s 16*16 = 256 grams lost. Perhaps you lose less than that, but it still seems significant to me. I would really appreciate your thoughts on this as well, Matthew. Thanks in advance. He says on his website that he is concerned with protein catabolism, though never names this as reason for his BCAA protocol. I know I’ve seen the study I just broke down on his website, so I’m sure this is part of his reasoning. So consuming 10 grams of BCAA produces as much insulin as 20 grams a pure glucose. I agree that you’ll get some benefits of fasted training, probably the extra glycogen storage, but probably not anywhere near double the protein synthesis. If you are going for hypertrophy, then you are really looking for growth of the sacrolemma/sarcoplasm, which is what bodybuilders aim to do by keeping reps fairly high. Strength training or powerlifters are mostly concerned with myofibril growth or protein synthesis. Muscle tissue is roughly 1/3 protein. This is why powerlifters can be very strong and very small, and why bodybuilders can be very big and weaker by comparison to powerlifters. Muscle growth isn’t necessarily protein synthesis. But, since you brought up the numbers, I’ll get into the numbers again. Assuming that in an hour’s time at the gym you do twenty minutes of working out. 20 minutes time under tension, that’s being generous. So for a typical workout we’re probably looking at a third of the protein they burned during the study, but I’ll give a half. So we are looking at 8 grams of protein burned in the fasted state. According to the study, participants supplementing with BCAA saw only 1/3 of the protein loss. So supplementing with BCAA during this typical workout we would see around 3 grams of protein burned, but we’ll just say 2 to be generous. So we are actually saving 6 grams of protein, by supplementing with BCAA. Not only that, but here’s a study showing that people who fasted for up to 48 hours after a workout showed overall increases in protein synthesis. Shocking, isn’t it? They didn’t eat any food for 48 hours and yet synthesized a net gain of protein. Kind of makes you wonder if 6 grams is much to worry about, especially since you are synthesizing more protein than you are burning. I’ll also add that the study on BCAA’s being muscle sparing did not point out how much protein was synthesized, only what protein was burned. I workout completely fasted, then I eat around 300 grams of protein, so you can imagine what kind of gains I see since protein synthesis is practically doubled from a fasted workout. Thanks for your answer Matthew. Perhaps I’ll switch to taking BCAAs only post workout, we’ll see. The BCAAs that turn into glucose would be insulinogenic, but what about leucine? That turns into ketones. 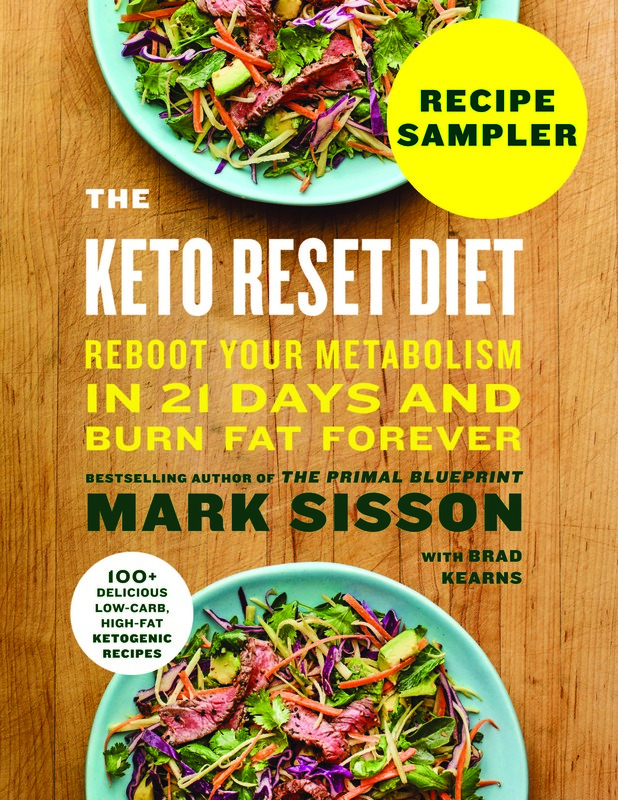 Ketones don’t kick in insulin production. Mind you, I’m not chomping at the bit to supplement *any* BCAA but I’ve heard good things about leucine, and you can get that by itself. I’ve been seeing that “vegetarian-fed” label on eggs a lot at the grocery store, *particularly* at WholeFoods. It’s always annoyed me, because I figured it meant “corn-fed” or “grain-fed”. Why am I not seeing eggs labeled “grub-fed”? I’d buy that in a heartbeat! “Grub fed” – yes! I love it! It’s easy to raise bug babies. Just ask anyone who keeps carnivorous lizards. I’ve seen the “vegetarian fed” label on “free range” eggs. The vegetarian fed likely refers to what the farmer feeds the chicken, cause as Mark said, if the chicken finds some bugs, it will eat them. Your best bet is getting eggs from a farmer’s market (where they won’t really be labeled anything). I’ve noticed darker yolks and better flavor from the Farmer’s Market, probably reflecting a better diet and more vitamins. I wonder if the advertising for “vegetarian feed” is supposed to underscore that there is no “downer cow” ground up in the cattle feed. Industrially raised cattle are fed all kinds of nasty stuff. Here in the Pacific NW, it makes a difference whether your beef was grown east or west of the Cascades–it is a different rain pattern and a different kind of grass. Both are good, just different. It also helps to change your cooking approach from dry roasting and grilling to braising. Reclaiming the lost art of larding a roast is also an approach that might lead to more satisfactory results. Your analysis would make sense if the “vegetarian-fed” stamp were on beef, but it’s on egg cartons! I’ve seen beef with a veg-fed claim, too (not just chickens/eggs). Thanks for introducing me to the concept of larding! Grass fed beef is far to hard to find and far to expensive to be a realistic alternative to traditional meat for the great majority of us. One store carries it in another city a two hour drive away from me and their selection is limited to a few very thin incredibly expensive steak cuts that unfortunately taste bland. In fact I’ve yet to taste any grass fed beef that wasn’t bland. So if the bar is raised that much higher to find grassfed beef that was raised on the right kind of grass then you’ve just lost me completely and no doubt many others. I continually come across beef labelled grass fed and get excited only to find out it’s grain finished. The farmers markets are rife with this. They hear that grass fed is desireable so they slather the labels with this term not even understanding it. It’s too bad the Paleo movement continues to push such an unaffordable, unregulated, unrealistic option. Is hunting an option? Or, if you aren’t into it, do you have any friends or family that are into hunting. Another compromise is to go with the grass fed/grain finished that you’ve found. Mark had a post about this. While grass finished may be healthiest, grain finished may not be too far off (depends on how long grains were part of the diet). It’s all about doing what you can do, depending on availability and cost-effectiveness. Even eating the corn fed beef is better than eating the grains yourself. If you only have corn fed beef, then try to get more omega 3’s in your diet (like fish) to help balance out your ratios. 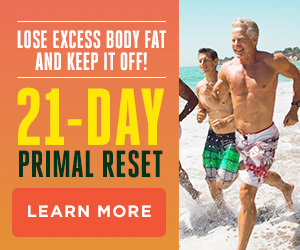 Paleo/Primal pushes eating healthier, in any way (and every way) you can. I can’t speak for the whole Paleo movement, but in the forums here we ALWAYS tell people to get grass fed beef if they can but eating conventional beef instead of non-Primal junk will still benefit them a lot. 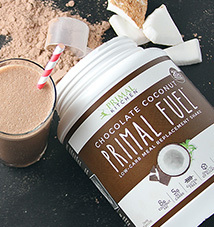 There are also many, many threads about being Primal on a tight budget. Mark has posted about these things too. Mark needs to focus more on tight budget primal if he wants to make primal a realistic alternative for the vast majority because right now, from here anyway, it’s a very expensive and difficult proposition at best. From a neutral point of view it looks like much of Primal eating and living is a luxury for the 1% ers. You don’t need to be a 1%er, but you definitely need a good job, with stable hours. Someone who works various shifts at Target may not have time to even wash the veggies. Don’t worry, John C. is clearly trolling or has an anti-grass-fed agenda. Thanks so much for cluttering up the comments, Johnnie boy. @ Oxide and Finnegan: It is an important issue, which my blog addresses (see signature). 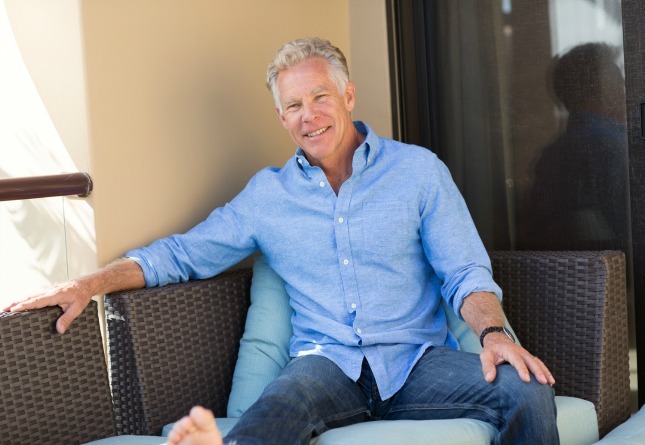 Mark seems to focus on not the 1% but on people who have health issues that can be addressed with Primal and people who want to achieve maximum fitness. It’s his blog. He gets to do it his way. The billions who can’t do even budget Primal or Paleo do concern me, which is why I consider myself more Archevore than Primal. But MDA is a rich source of info even for people who have to skip over the more expensive options. John- My Dh and I make less than $25,000 a yr. We eat all organic. It can be done on a budget. Garden, use the farmers market, raise your own meat or try harder to find a local source, use Asian or Hispanic markets, use buying clubs and order online bulk. Split food with a friend. Get creative, Don’t slam it, use your brain! I think people who use cost as an excuse are giving up without trying. Drugs cost much more. I ate a lot of mackerel and organic minced beef. Finnegans Wake, John C might or might not be a troll, but his concern is valid. Even direct from a rancher, grass-fed beef is $5.50/lb through the cheapest slaughterhouse in the state (Creston Valley Meats). Within the last month, the slaughterhouse owner said the price of beef is skyrocketing to prices he’s never seen (and he’s been in business 20+ years). Pastured poultry is $5.50-$6.00 a pound in my area, and pastured eggs are $7.00/dozen. Even pastured pork is $5.50/lb for a lean breed (Duroc) and $6.50/lb for a fatty breed (Berkshire). What’s more, you can’t even get those prices at retail outlets or farmer’s markets. You have to contract to buy 1/4 cow, 1/2 a pig, and buy a CSA share for poultry products. This makes truly healthy meat a luxury product. My area may be extreme, but prices are just as expensive relative to incomes elsewhere, and availability is just as restricted. It only costs a lot if you insist on eating steak every night. When one starts considering lower cost cuts of meat, including organ meats, it gets a lot cheaper. A nice chunk of chuck braised in a dutch oven can be sublime. You also need to factor in the savings of no longer eating fast food and not requiring the continuous snacking that someone on a high sugar diet requires. I eat a good breakfast of bacon and eggs, then I’m good most of the day. I might have a piece of cheese and an orange for lunch, or I might have nothing. Then I have a great dinner at home. Meanwhile all around me people are dropping big bucks every day on 2nd breakfasts, fast food lunches, chips, huge “healthfood” smoothies containing mystery powders and junky “energy bars”. Do the math. 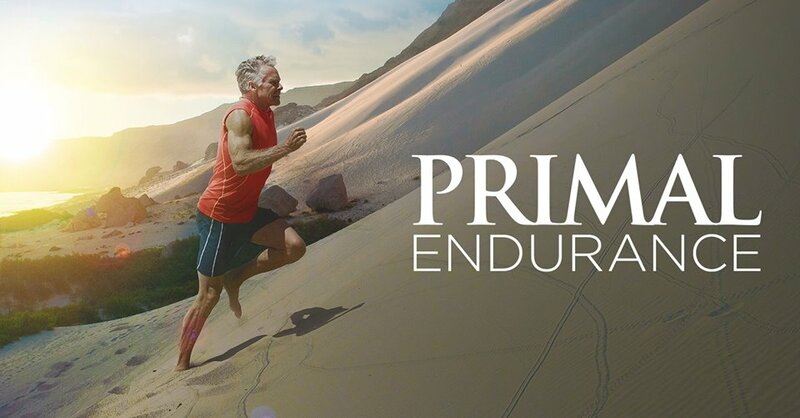 I don’t think Primal is all that expensive. The money you spend on high-quality meat, chicken, fish and fresh local produce is the money you DON’T spend on pasta, rice, bread, cereal, crackers, and sugar-filled crap. It actually works out well. Harry Mossman and jake3_14, I do very much understand and empathize with the concerns of those who cannot afford a “premium” diet. I simply noticed that this one poster took every opportunity to: 1) decry the price of grass-fed beef (OK, valid concern, but cost issues can be offset buy bulk purchases and/or buying direct from farm), 2) lack of availability – should not be an issue for most people, but he would not provide info on where he was located, so did he really WANT help?, and 3) qualitative issues with flavor and… really? … paleness. Pale beef? On what planet? IMO, the confluence of all these negatives scattered throughout this commentary thread indicate to me a person with an agenda, if not an outright troll. Seen too many of ’em, too many places. Don’t mind talking to someone with valid concerns. There are always work-arounds. E.g., my wife and I don’t eat out much, always pack (leftovers for) lunch, don’t spend money on a lot of things other people see as “necessities” that can easily, easily add up to our annual consumption of wild fish and grass-fed beef. What I do very much mind is someone coming onto an interesting topic thread like this and junking it up with a negative agenda. I’m not a “1%er” by any stretch and I eat primally every single day, including top quality grass-fed meats and organically grown produce and fruits. It’s all about priorities, and my health is my number 1. Perhaps John has different priorities, like paying a huge mortgage on a massive house or driving an expensive “look at me” car. Who’s to say. I’ll take my health first though. It’s not always about the amount of money you can afford to spend on your groceries… A great deal can be gained from from making mindful efforts in the areas of planning and budgeting. Before discounting radical ideas (I would have thought so a couple of years ago) like cowpooling, raising hens in your backyard or square foot gardening… do some investigating. Maybe you have to do some saving in advance to buy a deep freeze (many can be found new for > $200). And maybe you save up a while before splitting a cow with 3 other friends. But if a Primal lifestyle is something you believe in and feel is worth pursuing, make it a priority. I think that anyone who has issues with the “cost” of going Primal is either not fully primal or not asking around in their area. Get on the forums or a blog in your city and find fellow groks and grokettes; ask them where they buy their goods. Here in Albuquerque there is a small store called Keller’s. They only have two locations, but they have all natural and organic meats and foods. Grass-fed steaks are a bit pricey, but ground beef (grass-fed) is only $4.89/lb, which is a pretty darn nice price for something that our household uses 4-5lbs of a week. I have also found that since going primal, we don’t eat as much and definitely don’t eat out often anymore since it’s a hassle at most places. Adding in IF to the mix only helps reduce the amount of money we spend on food each month. Our income is lower than it was several years ago, yet we eat organic foods and grass-fed meats 90-95% of the time, which we never did before. Just gotta get out there in your area and ask around…do the legwork at it will pay off. I work minimum wage at less then 40 hours a week, generally. I still eat (very flavorful) grass-fed beef and pastured eggs. How? Ground beef. Liver. More liver. And most importantly? STOCK. Soup bones are generally cheap as dirt and the protein-sparing, anti-inflammatory properties of the gelatin help the rest of the meat go a good loooooooooong way. Primal starches are cheap, as are leafy greens. Probably spend more on good butter than anything. Altogether the calories are sufficient, nutrition is high, and costs stay low. Again: STOCK. All you need is some bones and a crockpot. I can feed a Family of 4 (and a half, little baby there too) for $140 a week!! Before the third kid came around we were at $125 a week! That’s organic and grass fed, and buying eggs from a farm just outside of town!! 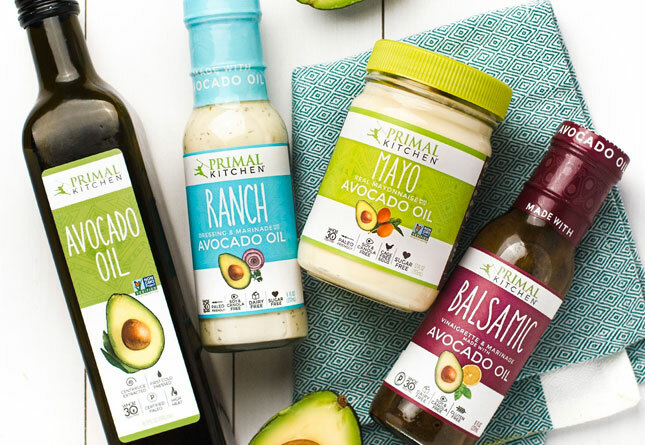 If you are having a hard time with the budget you need to put a little more effort into, and Mark has posted articles about living Primal on a budget!!! Absolutely. While pastured or grass fed should always be preferred, conventional beef and eggs are still far, far better for you than chowing down on pizza and pasta. Grocery stores are not the only place to find quality, delicious grass-fed beef. Try farmers markets… or direct from farm. You’ll save money dealing with the farmer and no reseller, the beef will be fresher, and you can interact directly with a knowledgeable source about grass-fed beef. Try eatwild.com or localharvest.org. Grass-fed beef is HARDLY “unaffordable, unregulated, [or] unrealistic”; it takes a small effort unless you’re in some rare and unlucky part of the country where there are no traditional beef farmers. I *do* attend the local farmer’s market and not all of us are in the U.S. In my experience just because someone sells something at a farmer’s market it does *not* make them an expert automatically and far from being paleo friendly. Most farmers and local producers are catering directly to the tenets of conventional wisdom. I’m not sure if you think I’m lying in my original post but what I wrote is accurate for my area and from what I’ve read in other places it’s just as hard for most people who don’t live in a major metropolitan area of the United States. Why not be helpful to those trying to help you and tell us where you’re located then? I never stated that someone selling at a farmer’s market is automatically an expert. I merely pointed you in that direction as a way to get started in finding a real farmer rather than a reseller. Again, why put words in my mouth? Did I say that you were lying at any point in my post? I merely suggested that you look beyond “stores.” There was nothing in your post that would have led me to believe that you do have searched anywhere but grocery stores. In fact, in the US it’s actually advantageous to live outside of large cities. I’m hours away from a metro area, but I can hop in my car, and in 25 minutes I’m at my favorite farm, looking at sheep and cows, talking to the farmer, buying excellent food. In the city, you’d either be buying from a reseller store (again), or going to a farmer’s market… But you don’t get the full experience of a farm tour, an unhurried explanation of how the food is raised, seeing the conditions of the farm, etc. This all goes into the value of what you buy. I think it’s actually rather “real world” for people in non-metro areas to buy more and more “off the grid” from farms and CSAs. A large number of my friends do this very thing. So how again is it that it’s so “unreal” to be able to buy quality meats (or fruits, or veggies) if you have access to the Internet, access to transportation, and modern refrigeration at home? It all comes together rather nicely for us. By the way, I just have to say that if you would invest a small amount of time to VISIT farms, and SPEAK with farmers, you would be able to learn what methods of animal husbandry they employ or how they raise crops. From my experience, I would say that your quoted assertion is at best ignorant. Dude, do you really think Mark doesn’t know what he’s doing here? Do you want him to lie and tell you that CAFO beef is just as good as grass fed? No one’s shoving anything down your throat, man. I’m a divorced father and am under very tight budgetary constraints myself but you know what? You’re either paying for the good food now or you’re paying the doctor later. If you can’t get to good grass fed beef where you are there are many mail order options. If you can’t afford that, then by the regular beef! There’s no paleo police here that are going to come to your door and kick you out of “the movement” for not buying grass fed. In fact, if going through all that trouble were causing you a lot of stress I’m sure that Mark would tell you to eat the regular meat and calm down. Just don’t expect anyone to tell you that 2+2=5 just to make you feel better. In my anecdotal experience this lifestyle has saved us money. I’m not sure precisely what it is, but with a rather major pay decrease compared to prior years (and I’m NOT a 1%er) I’ve been able to actually build up more savings than ever before. This is after changing over to more organic food, more grass-fed beef, etc. Now, I’m not sure exactly the reason, but a large contributor is probably because I don’t eat out as often (harder to find appropriate foods at restaurants). But I now find the food I eat tastes better, and because of the higher fat content, is more filling (so I eat less). So net effect has been savings. On top of that, my son has been able to get rid of his monthly medicine for chronic hives because of his Paleo diet, which saves us about $75 per month (and that is with good insurance). I think you are looking at too narrow of a focus, and ignoring other articles found on this very site. We can refer you to some of the helpful articles if you are interested. I live in a community of less than 4000. Don’t need to live metro to find good food, in fact it is easier when rural! Please do start a local program. Sorry you live in such a bad area. I don’t live in the US and I can attest that grass-fed is not easy to locate (it’s not sold in the grocery stores here in Switzerland). But with a little effort I found a farmer who raises Galloway cattle organically and I buy directly from him. And at the farmer’s markets I buy eggs from someone who described to me how the chickens live. And there are booths marked “bio” from organic farms. The veg is more expensive but the eggs and beef are not. Judging all farmers’ markets as “purveyors of CW” is more than a little overbearing. Climb down off your soapbox, be a chump and tell us what armpit of the world you are living in, John, that finding decent food is so tough! @milliann… good for you for feeding your family primal on foodstamps! that’s not an easy task (I work with poor families for a living) so I commend you! and you’re right, survival of the fittest!! All I can say is that I was 60 lbs overweight but reasonably healthy until last year. Then boom, high blood pressure, boom, totally messed up adrenals and thyroid, boom, joint aches and weak ankles that keep twisting every few months, boom, pre-diabetic syndrome. I’ve run up at least $1000 already in doctor’s fees and I’m looking down the barrel of a gun. I don’t care what I need to spend on good paleo food to get better, it will still be far less than the cost of doctors and the cost to my quality of life! Please try to put the cost of food into perspective, your health is so much more important. Its how I found local meat for my area (which is also grass fed/grass finished). I only buy the cheap stuff 5$~/lbs stuff. Which is actually cheaper than buying non-grass fed meat at whole foods for me. I’ve learned to make brisket, roast, and do more with ground beef (like the buffalo chili in the primal cookbook YUM). This may a be a long trip for you, but my place freezes all their meat and we can basically keep 3-4 weeks worth of food if we didnt go down there every other weekend to get some raw milk. I agree that grass fed beef and most other primal aproved animal protein is too expensive for many people, me included, but organic fruits and vegetables are a realistic option for most people. That’s where I focus my budget, organic vegetables, oils, butter, and nuts. But by far the biggest thing I’ve gotten from this primal community is that it’s not an all or nothing lifestyle. I’ve learned how to cook and eat more types of vegetables in a few months than I have the rest of my life and I’ve ditched all processed foods. So yes, I can’t afford grass fed beef but I’m still reaping(a lot of) the benifits of being “mostly” primal. Joining a local co-op or going in on a quarter or half-cow (depending on your family size) with other families is a very economic way of buying grass-fed beef, chicken and pork. I would keep on looking. Perhaps a cow pool/share or farmer’s market. I can get really good ground grass fed beef for $6-8/lb all over my relatively small town of Gainesville, FL. Supermarket, seafood shop, natural foods grocery, etc. I never buy steaks though. Too much money. Also in Gainesville you have a supplier nearby, near Citra, FL, which helps. I have had to go away from the Gainesville area and live on the north end of south Florida, and it’s murder to find pastured eggs here — and they’re $6/dozen and up and very uneven in size. It really matters where you live. I visited Rochester, MN and went to their winter indoor farmers’ market there and the pastured eggs and meat were not wildly expensive, and even in winter there was some selection. Tall Grass Farms (for instance) sends amazingly delicious grass-fed, grass-finished beef right to my house! We even bought a chest freezer, so we can buy 20 pounds at a time or sirloin (for me), ribeye for my husband) and ground beef (for both of us)! Buying small orders makes the $15 ‘raw food handling’ fee less-than-optimal, but once you’ve tried the variety, and know which to order, you can order in bulk, infrequently, and it seems less. Yes, you do have to plan ahead to move tonight’s steaks to the fridge to defrost (or, as I do — chuck ’em in the Sous Vide Supreme in the morning) — but they’re delicious and don’t require driving anywhere! odd thing to say. It’s akin to saying “It’s a shame the Paleo movement continues to push the “no-grain” concept because I like muffins.” By your logic things that don’t fit into your price point shouldn’t be talked about as healthy. 1. Just ask the farmer if it’s grass finished. If they are lying to you that is a different issue but I doubt that is happening. 2.Grass fed ground beef or chuck isn’t THAT expensive. I just had GF tongue last night, three pounds was 9 bucks. That’s alotta tongue. 3. I personally only eat grass finished beef if given the choice and I know others who are the same, so it’s certainly a realistic option. The Paleo movement is simply letting you know why certain foods are better than others and then it’s up to you to make your own cost/benefit analysis. Do you have a deep freeze and a friend who will go in with you on a steer? My family and another did this a couple of years back. The meat was gamey, to say the least, but it was produced on a natural, organic farm, and butchered humanely (some people care about that). It runs about $3-5 per pound of meat, which, depending on your area and cuts, can be cheaper than grocery store beef. My husband has since asked me not to buy from that farm any more (due to confusion on billing and being over billed, not due to quality of meat) and I would love to find another source. We also bough pigs from the same farm. All cattle are grass-fed. What you’re after is grass-finished. Try eating calf, if you can find it, rather than full-grown cow. As far as I know, calves are not grain-finished. I have heard calf liver suggested over beef liver for the same reason. But yes, if the only beef you can find is CAFO, eat the CAFO/grain-finished. It is better than nothing, and cattle deal much better with eating grain than, say, bison do. grasslandbeef.com. Order in bulk, and you’ll probably end up saving money. Many local farmers have open houses. The fresh, country air and cute little barnyard animals makes for a fun, cheap date. After visiting a few, you’ll get a sense for who you can trust. Seeing the pigs in the field digging up roots and talking with their teenage son about winter feed sold me on one particular farmers bacon and pork roasts. Hahah I was about to say the same. I got a good laugh! Anyway, I hadn't twigged to the fact that that could simply mean corn and other grains. Oh joy. And I've had the same experience with SOME grass-fed beef, much more bland than I expected. I guess we'll continue to shop around…but bison burgers ROCK. “Vegetarian” eggs & beef is just another example in the long history of government supported & facilitated labeling scams, did you know that there’s no such thing in this country as real true Kobe or Waygu beef since Japan doesn’t allow it to be exported? I honestly can’t imagine NOT finding grass fed beef or bison greatly superior to normal beef, regardless of health values. It is. When I first started buying grass-fed beef, the litmus test was opening a package of ground beef, one from the grocery store (the usual industrial GB) and one from a local farm. To say the grass-fed smelled better was an understatement. It smelled fresher, beefier, and somehow more wholesome. The CAFO GB smelled… weird. Don’t forget about the color! My wife can readily tell the difference between the 85% lean, 90% lean, 93% lean, etc. for the CAFO ground beef. The 85% was pretty “white” because of the fat. When she first saw 85% grass fed beef, she thought it was 93% lean! Yep. IMO, all grocery store beef is brown, or close to it. Of course, the packaging with CO, “color enhancements,” etc., fool the eye to thinking the meat a natural red. Once, we decided to entertain at the last minute, and I didn’t have time to defrost my grass-fed steaks, so I bought some from the store… you could see the brown peeking out from the edges of each cut as they were taken from the package. I can’t tell any difference from CAFO meat at all, either beef or chicken. You haven’t tried much variety out there then. The few times I’ve sourced grass fed beef or bison it was a pale shade of good quality grain fed variety. I’ve eaten a lot of wild game in my life as a child and it’s also vastly superior to any grass fed beef I’ve yet to find. I think there’s more than a little bias from pre-concieved notions at play here. Pale shade? Are you buying “grass-fed beef” from some guy named Lanny who has a truck in some alley? Seriously, I think you’re the one with weird biases and pre-conceived notions. Or possibly a rather large load of what comes out of a cow, post-digestively. You seem to be down on grass-fed beef. Fine. Then eat CAFO crap, since your mind seems made up. Makes no difference to me, except that it is a bit disingenous to keep posting how impossible it is to find grass-fed, and how “pale” it is when you actually do locate it. Wait, maybe you’re some weird shill for the CAFO beef industry? Sorry I confused you with that, another way of saying it that is perhaps more common is that the few times I’ve got my hands on grass fed beef and bison (on a trip to another city) I found it pales in comparison to good quality grain fed beef. It’s tasteless, bland, and so lacking in fat that I felt like I was eating tofu or something. The Bison was the best tasting of the lot, almost sweet tasting but not something I’d go out of my way for. In short to me it’s a huge commitment to track down rare, expensive meat, wrangle with the producer to try to figure out what they mean by grass fed which often turns out to be some pasturing with grain finish that in the end is not as satisfying or tasty to eat for some unproven health benefit. I’m not trolling I’m just pointing out that this continual pushing of grass fed beef is taken too far when there are more affordable and practical solutions out there. I think it’s hurting the paleo / primal living movement because it makes it seem cliquey and exclusive and presents a barrier to entry. From an outsiders point of view it would be similar to how I view vegans pushing some rare obscure berry from Ethiopia or some place. Just an instant turn off. I guess for some people the barriers to entry are a plus but I’d prefer to see the greater majority of people let in, not discouraged. I vote weird CAFO shill. Yep, weird CAFO shill is my guess too. I will say that the emphasis on lean beef coming from the grass-finished ranchers is just a tad bit weird. Leanness is NOT a selling point in ruminant meat. Hunter-gatherers went for the *fat* specimens when they hunted. Nowadays we eat cattle entirely too young, which is why they grain-finish them in the first place. It ages them (the same way eating grain ages us) and makes them fatter, as if it were an older cow that was slaughtered rather than one barely two years old. Unfortunately, too many people are still sold on the idea that ruminant fat is somehow dangerous. Equally unfortunately, those GF ranchers who are savvy about the health benefits of ruminant fat find themselves having to slaughter at all times of the year, regardless of fat content of the meat, due to American prejudice against–of all things–frozen meat. True story. No. Grass-fed beef is not pale. What you got was mis-labeled. Once you’ve seen real grass-fed beef, you cannot be fooled. It does not look like grain-fed. It also, in my experience has a much more intense flavor. It sometimes isn’t as tender, but I prefer the flavor. I meant the taste and mouth feel pales in comparison to good quality grain finished beef. Sorry for using what is apparently a way more obscure expression than I thought. The meat was not pale, it was quite dark purplish in all cases where I could verify it was actually grass fed it’s entire life. I suspect the veg-fed label started during the mad cow panic. When he said “ditch the grill” what answer of Mark’s was he referring to? Is there something bad about George Foreman-style grills? This is potentially something bad about cooking with teflon coated implements. Which is what a george forman grill features. Foreman grills have grooves which allow the fat to drip out. They cater to the low-fat movement. And yeah, Teflon isn’t a good idea. I recently had steaks from a well known grass fed beef supplier in the Midwest and I found the steaks to be bland. I was very surprised. The seller was recommended on this web site. I don’t want mention the name b/c it might just be me. I buy beef liver from this place and it is wonderful. For now, I’ll skip the steaks. I’m starting to think that people are fooling themselves that grass fed beef tastes better. They should stick to the fact that it’s healthier as that seems to be undisputed but taste, that is *very* much in dispute. It’s not been my experience either and I’m also very careful with cooking any cut of meat to get the best out of it. Yes, we get it. All you want to do is post OVER AND OVER AND OVER how crappy grass-fed beef is. Your n=1 experience is SOOOOO much more valuable and enlightening than everyone else’s insight. We’re just all fools and rubes overpaying for pale and crappy-tasting meat. I’m starting to think you really are a shill for the crap beef industry. I agree. We’ve tried buying grass fed steaks from at least 4 different sources (farmer’s market and online), and the flavor just doesn’t match up. My husband actually gets mad when I buy it now because it costs more and tastes worse. I find the grass fed ground beef fine, but the ribeyes just don’t measure up. I’ve found that grain finished beef from a non-industrial farm to be a good compromise. Where are you located, Lisa? Our butcher of choice has a 100% organic, grass fed section. Thin, small, extremely lean (unmarbled) steaks for over $20 each. Next to it, in the organic poultry section, $30 for a 2lb. Chicken, almost small enough to be a Cornish Game Hen?! For real?! At the fresh counter they have “free range” chickens that are outside, may or may not be on grass, and may or may not eat wandering insects every now and again. $16 for a 4lb roaster yesterday. It’ll feed hubby and I for 2 days. And “conscientiously raised” beef is about $10 per thick, juicy steak when we buy it in a huge roast and have them slice and freezer pack it. The organic, grass fed stuff just isn’t worth it. And we live in the city, in an apartment with no large freezer, so with the price of gas there will be no repeated driving to farms to source half a grass fed cow. There’s conventional meat that you find at the grocery store. Then, there is “small farm” meat that is LEAPS AND BOUNDS better than the grocery store meat in textre, taste, etc. and doesn’t cost that much more. I am always on the lookout for grass fed beef and pastured pork and chicken that looks worth a try. I’m glad for those that have access to it. My sister-in-law shared some of her self-raised grass-fed beef with us last week. Prior to that experience, we were doing the best we could with CAFO and still managed to loose over 70# each last year. But, baby! What a difference! I’d sell my first born for more of the grass fed beef. It was obviously different. (grassfed from eastern WA) The ground beef did resemble the 90% lean CAFO. The flavor was so remarkably deliciously different that we were blown away. My brother-in-law thought the difference was perhaps the “hanging” time they chose to cure the beef before butchering. (one to two weeks, I believe) Whatever…I’m a fan. But we’ll continue doing the best we can with the dollars we have. At any rate, we are just so thankful we found this website which so generously shares all the great information. Thanks, everyone, for expressing your opinions and sharing your knowledge. Thanks, Mark, for sparking such great debates. Who do you buy your grass fed beef from? Like to purchase from the same seller. I’m not fooling myself. I still buy CAFO beef. The big, juicy CAFO rib-eye or t-bone steaks from Costco are outrageously delicious and reasonably priced and I ain’t giving those up just yet! However, I do add grass-fed beef to our diet, usually ground beef or a roast, but no steaks. I shop at Whole Foods because I trust them and I am nowhere near a ranch or farm. The last roast I bought there was $6.50/lb. Not bad prices. 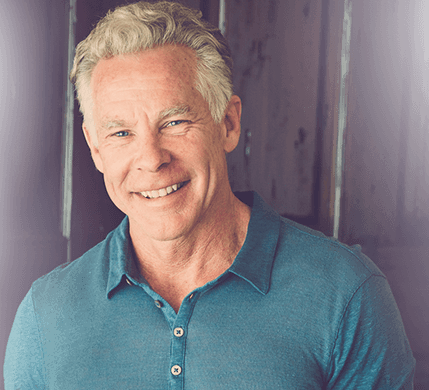 You do what you want to do, what you need to do, what you can afford to do – there is nothing in Paleo or in Mark Sisson’s writings that tell you that in order to be Primal you MUST eat this or that. Heck, you don’t have to eat ANY beef if that suits you. Wow, I didn’t mean to touch a nerve, I really didn’t. I just don’t understand why so many people elsewhere (and some here to be fair) also feel grass fed beef is unpalatable but for some reason there is this little oasis here where it’s like some kind of religious dogma that can’t be questioned. That’s a real shame, I expected more here. I’ll just show myself out and let you guys go back to your echo chamber. Would someone mind linking Marks feedback on the George Foreman? I am interested to see his view point on it- but can’t seem to find anything when searching the site…Thanks! I think it’s a damn shame we have to be subjected to such boff marketing as vegetarian-fed beef. Do people really think that cows are meat eaters? Maybe it’s cuz I grew up in the country, but I thought that was common knowledge that cows eat grass! LOL whatevs. I’m glad it was addressed here. Some CAFOs do feed cows animal parts, or even chicken droppings. Mixed in with the ever-so-healthful soy and corn meal, of course. There really are people that dumb, or ignorant to put it nicer. also, does anyone know of any bird on earth that is vegetarian?? dont all birds eat bugs and worms, rodents, etc? The birds from PETA are vegan, if that helps? I’m not sure whether the parrot family ever eats animal. Certainly all the parrot-type birds we owned when I was a kid got by fine on seed foods and fruit. But there seem to be more omnivores in the animal kingdom generally, yes, as opposed to pure carnivores or pure herbivores. Or, at least that’s true amongst the vertebrates. My guess is that because George Foreman has an aversion to fat, Mark maybe has an aversion to George Foreman…? Bland, no. Tough (even when barely cooked), yes! I find grassfed meat to be far, far too lean. I (hubby, too) prefer beef steaks to be “medium”; a grassfed steak cooked to “medium” is almost inedible. I am currently looking for a new source (I’ve been a faithful customer of one grassfed business for several years), but every time I’m ready to place (a substantial) order the majority of items I wish to purchase are “out of stock”. Frustrating. grass-fed” at Whole Foods, the supplier listed on the label, but I don’t trust it. It doesn’t look, cook or taste anything like any grassfed meat I’ve eve had. Texture-wise, it’s great (like conventional beef), but flavor-wise it is bland (like conventional beef). It is also vastly more expensive than my grassfed supplier. On a related note, the pastured poultry I buy also tastes slightly…stale. I have to assume this is the way properly fed chicken is supposed to taste. It’s not bad, per se, but slightly weird. I’ve gotten used to it, but I can’t serve it to guests – they tend to politely spit it out into their napkins. I think it is like Mark said about cattle on poor pasture. I have seen “pastured, free range” chickens before. Not a speck of grass in the field. It is the grass and bugs that give it a good flavor. labeling again…. To also add- NO! It is not suppose to taste stale!!!!! I raise my own and people comment on the full great flavor! They eat grass and bugs to their hearts content. By grass-fed beef (and pastured pork and lamb) has excellent fat content. It will vary by farm, by location. So try expanding who you buy from! Pastured chicken is awesome – my aunt raises chickens herself. The meat is not as pale as shop-bought because the animals are slaughtered later. They scratch around all day and the flavour is really rich and gamey. Really really shouldn’t be tasting bland! The taste of grass fed beef all depends upon the pasture, how fat the animal is, and the genetics of the animal. Smaller framed, earlier maturing cattle work the best for grass finishing BY FAR. Unfortunately, grass finishing is a developed skill & not everybody raising grass fed beef has that skill or the proper genetics or the right pasture. As far as it being expensive to buy… That also varies greatly from producer to producer. I’m selling it in bulk (variety of steaks, roasts, burger, marrow bones, etc.) starting at $4.25 per lb. with processing included. Not necessarily cheap, but I think it is a pretty good deal for a quality product. I find that slightly less expensive than the cheapest I’ve been able to find in my area. On top of that, when you consider steaks and such in that price, it is actually “cheap”. This is so true. There are some breeds of cattle that have been genetically bred to fatten up on grains (i.e. most in the US – angus, that kind of thing?). There are other breeds like Scottish Galloway that have been bred to live their whole lives eating nothing but grass right up to slaughter and they taste awesome. Google “Galloway beef” and you’ll see. There are others that are bred to eat grass most of their lives but for optimum flavor they are “finished” with grain. My guess is you can’t just start feeding cattle bred for eating grains grass and get great tasting meat. Grass-fed is hard to find in my area so I buy it by mail order. Have had mixed experiences-US Wellness has been consistently good. If you watch for their 15% off sales or buy in bulk it helps with the cost. I think grass-fed beef tastes a little gamey, certainly stronger than grain-fed beef. However, having spent almost my whole life eating wild game, I actually like it. Plus, I’m used to cooking wild game so cooking grass-fed wasn’t as hard to get used to as it is for some folks. I have found some grass fed meat to be a bit too gamey for me. The 2 suppliers (Southern Utah, Southern Idaho) that I usually buy from age their beef and lamb, and that seems to do the trick. I love it. What else, besides grains, do vegetarians eat? They eat SOY, and it’s ground up and included in the feed as a source of cheap protein. Just as you would stay away from the vegetarian diet, STAY AWAY FROM VEGETARIAN-FED ANIMALS!! !, and for much the same reasons. The CAFOs put ground-up cow, chicken, turkey, and pig in the “animal feed” along with the corn and soy; buying “vegetarian fed” can be a significant step in the right direction. I live in the desert. The best way to get rid of scorpions is throwing chickens in your yard. They also leave some tasty eggs while they are cleaning up your yard. THAT is something I would love to see!!! Oh, yeah. I’m not a 1%-er by any stretch. And the grass fed meat at my local co-op is not that great. Small cuts, really high prices, the cheap cuts are like shoe leather. I was fortunate to find Blue Valley Meats which, for a small fee, delivers in the city near my home every three weeks. I order my meat, pay the $5.00 delivery charge, show up at the delivery spot on my day/time & get handed a bag of meat. It’s frozen, but i don’t care. I live alone, so my meats usually get frozen, anyway. I figure my meat/fish costs me between $40-50 per week. That’s 3 meals a day. It’s stretching further since I began doing intermittent fasting. And to be perfectly honest, if I happen to be at the grocery store & they happen to be having some fantastic sale on pork ribs, or steak, I’ll buy them. Although my preference is to stay away from factory-farmed food, I’m not a freakin’ saint. Costco sells “organic” meats, and grass fed, too. I’m sure their meat isn’t grass-finished and is probably factory processed. But again, you do what you have to do with the amount of money you have. This lifestyle is for me personally about so much more than meat. In fact, I think we all, including the people who hate us, may fixate a little too much on meat. I eat a LOT of vegetables, too. Vegetarian-fed cows may make sense. Cows are naturally vegetarian, but feeding them animal protein is a cheap way to recycle animal waste and a cheap source of protein (concentrated feed) for the farmer. Unfortunately, cows being vegetarian do not have very good protection systems against microbes living in meat and thus easily get sick this way. Mad cow decease was for example probably caused by this. In Europe feeding cows animal products is forbidden since mad cow decease became public. So the label “vegetarian fed” would no longer make sense. I do not know the rules in the USA. I’m pretty sure it is true here now, too (that cow’s can’t be fed cow byproducts… ). I remember being so shocked when I learned that mad cow was being transmitted because of feeding the cows ground-up-other-diseased-cows. Isn’t that the first step in NOT spreading disease???????? That’s where I thought the veg-fed label came from. That’s one possible cause of mad cow but I’m suspicious. They don’t feed animal bits to sheep, yet sheep get a similar prion disease called scrapie. Ditto for whitetail deer in the U.S., who sometimes get chronic wasting disease. It’s been posited that these prion diseases come from a combination of deficiency in some mineral or another, paired with exposure to certain pesticides–deer are sometimes treated with pesticides because they carry Lyme-disease ticks. It’s even possible the mineral deficiency alone is causing the problem in some populations. It’s interesting that on that Pacific island with the cannibals that were getting prion disease, it was the women and kids getting the most of it. In certain traditional cultures, the women and children were not as well-fed as the men were. I’m a little surprised this happened on an island, though, if mineral deficiency *is* the problem–tropical islands are normally volcanic in nature, and normally nutrient-rich. Dunno what that’s about. Chickens will eat *almost* anything. I could toss the rotting carcass of a dead armadillo in the chicken pen and it would be picked down to clean bones within a day. I suspect the “all corn, all the time” diet of most modern chickens may be even worse on them than it is on a cow. Contact the supplier for the Grass-fed info. Much grass-fed is just stanky, used up old dairy cows put out to pasture for a month and slaughtered. These will taste old and dry. The type and quality of grass makes a huge difference as Mark says. The other thing is the length of time the meat has been hung. In the right conditions you can hang beef for 3 weeks, it goes quite dark and it concentrates the flavours. If you actually read Martin Berkhan’s blog he says take 10g of BCAA 5-15 minutes pre-workout. I have done it all, whey protein, BCAA’s, creatine, etc. I just eat food now and take vitamins. The only thing I consume that could be called a supplement is powdered egg whites that I add to fruit smoothies for thickening and the protein. Otherwise, I haven’t found most of the supplements to help me. However, it may work for others. Some of us are non-responders to supplements such as creatine. Creatine needs carbs to get in the muscle tissue; if you don’t have some carbs right before the creatine, it’s probably wasted. I find carbing up pre-workout and staying LC the rest of the time works for me, so that’s a good time to have 5-10 g creatine mono. I agree on the BCAAs; as long as you get high-pro post w/o (recovery’s where you make your gains), separate BCAA is probably unnecessary. Make sure you’re getting enough biotin elsewhere in your diet, then. Avidin (a protein in egg whites) has a way of binding that up and making it useless to you. I’ve had the same experience as Sherry. I’ve tried a variety of grass-fed beef in SoCal (store, farmer’s market, etc) and they all taste very bland compared to the rich, marbled non-grass fed ones. If anyone has good sources of grass-fed beef in SoCal, I’d love to hear some recommendations. I’ve had some really good grass fed steaks and some not so good – and eat only grass fed when I eat beef. Have to say though, the reason that beef is grain finished in the first place is that most people prefer the taste and texture of well-marbled grain finished beef. If you know a good butcher, ask him/her about the grades of beef – and look at the various grades in the market. Better marbling equals better grades and higher prices. So, unfortunately, for now we have to stick with ground beef and stew meet for grass-fed. I have no doubt that grass-fed beef can be delicious and it is my goal to eventually find and buy such meat. It’s just a matter of finding the right supplier. I keep hoping that we’ll eventually find a farmer that knows how to raise grass-fed beef properly. I second the notion that grass-fed beef shouldn’t taste bland. While I have only managed to buy the occasional slab of grass-fed steak(due to budget restrictions, unfortunately), it never fails to be 10 times more satisfying than grain-fed beef. I made a beef and sweet potato stew for the first time with grass-fed beef and was dazzled by the taste and texture of the meat after it slow-cooked for 8 hours. Same recipe with grain-fed beef… still good, but not nearly so delicious. Try another source, perhaps. We found organic ground beef at Costco for $4.50 a pound…that’s pretty cost-effective. We had some at the family birthday party yesterday, and it was just fine…looking forward to rare burgers! Organic doesn’t mean much of anything, unfortunately. It assuredly does not mean the beef was grass-fed. Most likely, they were fed organic soy and corn. So, not eating GMO feed, still not optimal. Sherry, Mark already covered most of your answer and if you read some of Joel Salatins books you’ll understand that not all grass fed beef is good! Joel is an artist in orchestrating everything on his farm including soil conditions. I just finished eating a stew made out of his stew beef and it was fabulous! The way it cooked was nice and clean, it did not even shrink and very tender as well. So yes, do shop around and if you’re lucky to be living within 5 hours from Polyface, do order from Polyface! I’m in the UK, and it’s the same story here as it is in Canada. Grass-fed/finished beef is around £50/kg, and really only available from farmers’ markets (and they’re dying out). I have a theory as to why – and it’s a simple one ( and obvious when you thInk about it); red meat is lethal, as we all know ;oD, so if a farmer is going to raise beef cattle, he’ll do so in sheds, so he has more land available for growing all those wonderfully healthy cereals and the cows are, therefore, fed Shredded Wheat, All Bran and cornflakes. Even ‘premium’ c/f beef ain’t cheap – you’re still looking at around £30/kg! Thing is, I LOVE steak – I’ll eat it til the cows come home; I’ll season it with tumeric, paprika and chilli powder, then liberally slather it in EVCO (I’m drooling at the thought… This hotel serves rump, maybe I’ll treat myself today (won’t be g/f, though)). Chicken, brown sugar, dextrose, glucose, wheat dextrose (whatever that is – is it a bit like corn syrup…?) cornflour, rice starch, potato starch, salt. I’m from the UK and there is no way in hell that beef is £50 a kilo, unless you are buying beef fillet which is about £40 a kilo. The average price I pay is approx £13 a kilo, depending on what I buy. UK beef is grassfed except for winter time when it is silage/hay fed although you have to check what they use for silage as they could use soy. My butcher assures me his stockists use hay! About the grass fed meat maybe you just got a really lean cut. if you get 85% lean its juicy and super tasteful. I hunt deer and kill at least 2 a year. They are tough except for the tenderloins and part of the back strap. I butcher them on our kitchen counter. I imagine grass fed beef would be close to this as well. Grind it or slow cook it. You can buy young grass/hay fed steers at the beef auctions that have not been grain finished and have them butchered. I know several farmers around me that would sell a cow that summered on pasture before being grain finished. You’d need to split it with someone or have a big freezer and appetite. There are butchers everywhere to handle the chore of packaging it. My credentials: I’ve worked at a natural foods grocer for most of a decade, including a year in the meat department. I’ve had to answer these questions on a daily basis. As of right now, about the only regulation the FDA has regarding animal by-products in animal feed is that certain high-risk bovine tissues are not allowed. Fish, poultry, pork, and other beef byproducts are all permissible by FDA standards, and are standard in CAFO and poultry house feed. So when you see “vegetarian-fed” beef or chicken, that’s a guarantee that you’re getting meat from an animal that was *not* fed any of those animal byproducts (byproducts which make ‘pink slime’ look like prime rib, BTW). What you *are* getting is meat from an animal fed primarily on corn and soy, with maybe a little forage. It’s still a far cry from the benefits of eating grass-fed beef or pastured chicken, but it’s a still a good step up from eating a cow that was fed cows. When buying grass-fed, grass-finished beef, it’s good to find out when your animal was harvested (as the cowboys say); you want to be eating beef that was eating nice fresh juicy green grass for its last meal, not dried out ol’ hay. Here in northern California, that means a spring harvest. Out east, I hear, a fall harvest is better. So ask some questions and yes, try some different suppliers. We’re very middle class but living in Oregon we have a lot of grassfed options. It’s less about income and more about location. If we buy our grassfed meat in bulk, it’s the same price as conventional meat. We especially live knee deep cattle co and deck family farm. I tain fasted at noon every day and take 10 grams of bcaa before my workout. I like the effect and mental assurance of it. I eat Palio, and I have yet to taste a stake. I am on fairly low income with wife and 2 kids. We buy organic vegetables, raw milk at very hight prices. As a family we buy eggs from the farm at $5.50 a dozen when in Coles they are $7.50. I have seen the farm and the chickens and Im extremely happy to get the eggs because they are worth it and they are that day fresh ! We buy mince, osso bucko, and diced beef, liver and heart, chicken frames for soup all from a supper expensive organic , grass feed farm dirrect. I have no issues with this, as I am reaping the benefits and I can certainly tell. So instead of spending $40/kg for good stake I pay $16/kg for mince. Is it insane ? May be compared to the $4.99 Coles mince. Is it bland ? No way ! Is it afordable ? Bearly ! Is it worth it ? Absolutely ! My kids future will be started on good nutritional grounds even if I had to stop going to the video store to rent movies ! The other thing is that we dont buy chips, coke, biscuits …. preaty much we buy nothing but toilet paper and some washing liquid from a suppermarket. We forgo the variety of todays society for wholsome nurishing, food. It can be done ! Sorry to add this, I am not at all saying that the less variety is a sacrifice or a chore, veriety and decadance with our food is what got us to where we are today ! I really enjoy our simple meals and the neighbours have all commented that the smells that come out of our house are just insane ! You see most of these havent ever tasted real meat, just the pretend stuff. I am not a great cook, but everyone that has tasted our steew thinks its my skills. LOL Its NOT ! its just the ingrediance. So I’ll stick to my great tasting simplicity on a budget. Those that can afford it can have a greater variety as Mark has ilustrated in his books. Those on a budget can still get by just famously , thanks. That’s why I’m a vegetarian!!! Does anyone have any recommendations for sources of grass fed beef in the greater Philadelphia area? Thanks!….I’ll check it out. It’s about an hour drive from me but looks promising. Are you looking for bulk purchases or a la carte? For now – A la carte. I don’t have the means to store large quantities of bulk. Animals store pollution in fat, to keep it out of circulation; if you can’t afford to eat organic all the time, it’s very important to target those organic dollars on animal fat. On a related note: not being able to afford to meet your needs doesn’t change what your needs are. There is no way to be poor and get your needs met. A bit out of touch, since I live in Japan now, but I’ve lost so much faith in the American food industry that when I saw that Mark was writing about something called ‘vegetarian-fed’ beef, I just pictured a slightly overweight bunch clad in hemp and organic cotton throwing the usual slop in the cows’ faces while chowing down on tofu burgers. After reading the explanation, I see I may not have been too far off. Anzu, wherabouts in Japan? I live in Machida in Tokyo, and shop at one of the expensive delis in mid-town Tokyo (which cater for the high-maintenance embassy set), one of which does have expensive NZ grass-fed beef. Does taste okay as a steak, but it’s tough to eat as tartare. The cheaper grassfed cuts are 180yen/100g, which is about $10.25/lb. Not so bad. I pick up vegetables at the local farmers’ cooperatives. Regarding Japan, one distinctly unique aspect of Japanese food culture is unlike the USA, there is a strong preference for fattier cuts of meat, and things are priced accordingly. My experience in Japan was that leaner cuts of meat(and particularly chicken breasts) were actually reasonably priced(though sometimes harder to find), while the fattier cuts were outlandishly expensive. Nissen? I go there for my beef too 🙂 My university is in the same area, so I tend to pop in there once or twice a week after classes. And yeah, I’m super surprised at how cheap it is. And to John: Yes, and it’s lucky for me! Whenever I do go to the supermarket near my home I always look for the leaner cuts. Nishin, right? I too used to live in the area and bicycled to shop there. Now I can only get to it when I come into the city on business. This has been a really interesting discussion. We have slaughtered our own sheep over the years, and now buy from producers or butchers that buy carcasses from known sources. Grass fed is seasonal, summer animals from a great wet summer season (like our summer down here in eastern Australia), have loads of fat on them. We bought half a pastured pig over Christmas, and the fat was inches thick. I plan to purchase our next installment early spring. Another critical factor to the taste and tenderness of meat is the hanging time. Down here we can get beef hung for up to 3 weeks, and aged beef is FAB. Sheep should be hung for at least a week, otherwise it’s jerky. By hanging I mean skinned and dressed, and left in the cool room for the required time, then cut up and yum! So if you are finding that the meat is a bit ordinary, ask about the age of the animal, how long it has been hung, and take the season into consideration. Eat well everybody, don’t stress too much about it and thank you for being out there, we sometimes feel a bit lonely down here! When I was at the Tillamook Dairy Factory in OR, I saw this on the wall explaining the diet of a dairy cow. I know it’s not beef cattle but nonetheless… there’s a lot of stuff on there that I wouldn’t expect cows to naturally eat. Strange thread. I like the taste of Apple Pie but I choose to eat berries with a little whip instead cause I’m Primal, isn’t that the deal? I like the taste, I don’t like the taste. Whatever. I thought that the point was that GF was healthier for you. The anti-nutrients in grains that you go out of your way to avoid in your Primal lifestyle are super concentrated in the fats of the grain fed cows, no? Is that just a rubbish meme? Maybe I’m missing the point? Cows aren’t really vegetarian. They have bacteria in their 4 stomach that process the grass. The cows really ‘eat’ the bacteria. An excellent protein source. I see a few posts from people in Europe worrying about grass-fed beef. All cattle in Europe are grass-fed. Grass is cheaper than corn unlike the (subsidised) corn in the US. Also note that all ‘grass-fed’ cattle receive other food such as grain, husks, molasses. Unless you have unlimited grasslands (like Argentina) no grass-fed beef is only fed on grass. It would take too long to fatten the cows. I live in France, and I can confirm that traditionally, most cows are raised on grass here (on average, about 80% of the food given to cows is grass), so I can’t really tell about the difference in taste between grass-fed and grain-fed. However, some cheeses (like the Beaufort, made in the Alps)exist in different versions : the “winter” version, when the cows are fed hay, the “summer” version, when they eat fresh grass, and the “alpage” version, when they eat the grass from the mountain pastures. I can tell you, you can see and taste the difference! Although the milk always come from “grass-fed” cattle, its taste varies a lot. So I guess Mark makes an excellent point when he mentions the quality of the grass being the cause of a somewhat bland meat. I’m fortunate to live in Northern Colorado where we have a plethora of grass-fed, free-range, and pastured choices for beef, pork and poultry. That being said, it did take about 6 months of trial and error to really get the hang of cooking grass-fed beef. Ground beef is easy, and roasts are great braised or in the crock pot. Steaks were the challenge but I’ve found three techniques that work well. Marinade for 12 to 24 hours before grilling (mangos and pineapples contain natural enzymes that break down muscle fibers); use a meat tenderizer and beat the thing to within an inch of its life to break down fibers, or try a Jaccard tenderizer; cook hot and fast in an iron skillet with an ample supple of butter to add some lovely flavor and fat. Cooking Light Magazine (yeah, I know) has actually had some good articles on and recipes for grass-fed beef recently, including one on cow-pooling. By the way, we purchase a 1/4 beef cow each year to feed our family of four. The price is $5.95/pound for all cuts. We’re trying to eat as much grass fed as we can. Nevertheless, all the grass fed steaks I’ve tried taste gamey. The roasts and ground beef is less gamey, but the flavor is still there. I’m still holding out hope that I’ll find a supplier whose beef won’t taste like this to me. Until then, when we eat steak, we buy grain fed. With the other cuts, I’m able to disguise it well enough. Luckily, I can afford the grass fed, and I know it’s superior nutritionally. Maybe the aging can make a difference? I plan on buying a 1/2 beef that is grass-fed, but they supplement with hay. I am concerned that the hay has pesticides. Am I right to be concerned or is this not something I should be concerned about. Have you asked the farmer? If the farmer is going to the trouble of feeding grass and hay, he may be cognizant of concerns over pesticides already. I’m starting to feel very fortunate to live in Alberta. I’ve found grassfed beef (100% grassfed) for as low as $3.15/lb (plus slaughtering fee of around $100) if you can buy the whole cow. Some places will let you pay the whole-cow price but they’ll divide it into equal portions if you want to share it with someone else. I haven’t made the leap yet because I don’t have my own place or my own deep freeze, but soon! This is just making me feel like maybe it’s not too expensive. And you can get offal for even less. I might try to start out with that, though some of the farmers I’ve talked to have said that they sell out of it pretty quick. I just didn’t realize how expensive it gets in other parts of the country. “,,,If we remove starches from the human diet, about 80% of us will die of starvation. Simply calling somethng a sugar and damning it also fails to differentiate between fructose and the other sugars. Table sugar and HFCS are around half fructose; and the problem with fructose is that it metabolizes in the liver. That’s what the liver does, but there is such a thing as overloading it – and refined sugars make that possible. A potato is not the same as a bottle of Coke; and this kind of one-criterion assessment disappears the differences. Moreover, I am personally averse to the whole obsession of 20/21 C metropolitans with eating as a “health” matter. It’s is alienating, displacing our consciousness to outside our own bodies as obserevers, pulling maintenance on a truck. We can’t enjoy a simple bite of food anymore without worrying about how it will hit our imaginary graphs. I have a pineapple and some bananas in the other room, along with rice and potatoes, and I intend to eat them with gusto. If I am binging on sweets (which I’ve done), that is not simply a dietary decision… as we pointed out. It’s reaching for comfort when the rest of one’s life seems out of control. That’s only tangentially a food issue. The motive problem is fear and aleination. “Health” is a perennial preoccupation of humans (we saw all the medicinal uses for sugar, with allthe helath claims). But with science, we seem to learn a bit of it, then extrapolate into our beliefs. Again, I recommend a short interview with Barbara Duden on the “pop gene.” This has created an immortality premise. We all assess everything that could cause us to die as if we can postpone the inevitable indefinitely. Here’s an unhappy fact. In 100 years, everyone reading this will be dead as a rock. I will too. I will not (1) run to improve my cardiovascular system (might run if a big dog is chasing me, but not very fast), or (2) determine what I eat by a glycemic index. The lettuce and tortillas and cheese and carrots and tomatoes, etc etc, (there’s even half a bag of Costa Rican sugar) in the kitchen 10 feet from here are something with which I have a relationship; and I will not make some index our mediator. The subtitle was “biography of a commodity,” which was a HINT that this same treatment of the subject is transferable to other commodities… emphasis on its nature as a commodity. If we want the thread to depart from that in favor of dietary discussions, then before we begin our microbiology conversations, we ought to finish the social one – I’m thinking now of Susan Bordo’s book on “eating disorders,” which are more common among women (who generally have less control over other aspects of their lives than men, and for whom food becomes both comfort and adversary – an immense personal loss, in my view). This is a much deeper problem from where I stand than a deracinated biochemical index. For the people who are concerned about the price of grass-fed beef, have you considered other red meats, namely lamb and goat? I know where I’m at in northwest arkansas it’s possible to get a whole goat at around $3.50/lb after processing, a little over half the per lb price of a side or quarter of beef. Grass fed tastes better to me, but I’ve been eating it a while so maybe my palette has adjusted. I never really noticed a huge difference in the first place though. I’ve found the difference in grass fed beef to be the dry aging. I found an in state rancher that does grass fed and finished, then dry ages the beef 14 days. Price works out to around $5-6 per pound for the cheaper cuts. This beef is magical compared to the “grass fed” beef that I get from the same area, that isn’t dry aged. The latter tastes like decent quality supermarket meat, but nothing spectacular. You’re cooking it properly (they don’t cook the same). You trust the source (yes, believe it or not, some people are liars and in it for profit only). You know what it is you’re tasting. By this I mean… if you’ve been raised on grain fed beef, you’re going to be used to the taste of the fat. It’s all about conditioning. To some people, grain fed WILL taste better at first.. but give it a while (ensuring you’re adhering to the first two points), and I think over time your overall health will speak for itself. I didn’t see any discussion regarding the age of the cattle harvested for grass-fed meat, so I’ll offer my two cents. Fat adds a great deal of flavor to beef. Cattle on grass alone need more time to mature to the stage that they will produce sufficient intramuscular fat (marbling) to have more flavor. If they are too young, the fat will be mostly under the skin and mostly trimmed away. If grass-fed cattle are harvested at the typical time (around 18 months or less) that most industrial beef is harvested, they probably will be pretty bland. We raise them out to at least 24 months and make sure they are harvested directly from green pasture just to ensure better flavor in the meat. Our customers love the flavor and tenderness of the meat. So look for a ranch that will give the steers time to mature adequately for better beef– buy locally and directly from the farm. Just wanted to thank you for the info on the vegetarian diet question. I buy grass fed beef from Whole Foods as well and often see vegetarian diet plastered over everything and all I can think is “corn isn’t meat.” I started trying to eat better kept meat after watching Food, Inc and this question has been bugging me since! I’m an older, healthy, (mediterranean diet), but very fat woman who just started the 12/12 fast in an attempt to lose a little weight so I can walk longer. I want to take weight off my hips to increase my walking endurance. Right now, one of my hip joints fails after 2 miles because of the weight it bares. I feel as if there may also be a hidden intermittant hernia that only comes out after miles of walking. The doctors can’t find it because it retracts and dissappears after rest (and all the fat covers it up), where they can’t see it. I also read that 14/10 is what is being recommended for women. No blog site is gushing over the 12/12. It’s as if there is no confidence in the 12/12. I read somewhere that BCAA should be taken before a workout, even though the workout is during the last two hours of fasting. I cannot afford to buy BCAA suppliments. I read that eggs contain BCAA. If I do a true 12/12, fasting for 12 hours; then, I have one egg (for BCAA) and walk or do housework for 2 hours; will that be as good as a 14/10 fast? Remember, I am very fat. So dragging all my weight around while walking or doing housework is like lifting weights.